is internationally recognized as an objective test center. 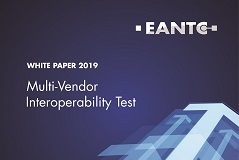 We provide vendor-neutral network performance test facilities for manufacturers, service providers and enterprise customers. The showcase exhibits a lab-validated multi-vendor network demonstrating the latest advances in IP/MPLS, SDN, microwave and clock synchronization. 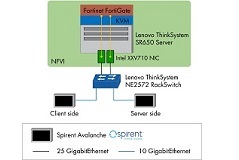 EANTC verified the performance and service scalability of the Fortinet FortiGate as a virtual security gateway (SecGW). 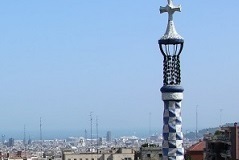 The EANTC team is looking forward to head to Barcelona to meet clients and partners. We are happy to schedule an appointment. Or just come along at stand #7B81 for a coffee and chat. Our report includes the verification of throughput performance for IP packets (IPv4 and IPv6), Ethernet unicast and multicast frames. In addition, it also contains scalability tests of the IP FIB and Ethernet MAC table. 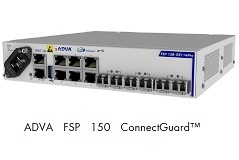 EANTC verified the functionality of various security features and a few performance aspects of ADVA's FSP 150 encryption edge device. We carry out test sessions, complemented by consulting and training for our customers. Our service provides you with objective facts you can trust in when making your decisions. Our expert advice will give you a significant advantage in enhancing the confidence of your customers and partners. We place great emphasis on ensuring our work is of the highest quality. EANTC has been offering Carrier Ethernet training since 2007, providing seminars that combine theory with hands-on experience. All our seminars are cost-effective solutions to your training requirements.